Kick off La Fête du Champagne with a festive lunch at Racines featuring Champagne producers Jean-Hervé Chiquet of Jacquesson, Quentin Paillard of Pierre Paillard, Charles Philipponnat of Philipponnat, and Laurent Champs of Vilmart pouring verticals of their top cuvées. Producers and sommeliers will work in tandem to serve the flights of wine and offer insight and anecdotes about the wines, vineyards, and pairings, offering guests a unique take on our more traditional Champagne-soaked lunches. The wines will be paired with the exquisite cuisine of Chef Paul Liebrandt. A very highly regarded Grower Champagne estate in the Côte des Blancs, Pierre Péters is renowned for its single vineyard Champagne from Les Chétillons, a magnificent terroir that showcases Le Mesnil sur Oger’s chalky soils at their best. Rodolphe Péters, the sixth generation to lead his family’s illustrious estate, is reaching deep into his cellars for this unprecedented and once-in-a-lifetime dinner featuring extremely rare vintages of Les Chétillons back to 1970, all served out of the last remaining magnums from Rodolphe's cellar and paired with an elegant tasting menu of the cuisine of Chef Daniel Humm at three Michelin-starred Eleven Madison Park. Join Louis Roederer’s Chef de Cave Jean-Baptiste Lécaillon for an elegant dinner at THE POOL in the historic Seagram building featuring fascinating side-by-side comparisons of currently released and library vintages of Brut Nature, Rosé, Vintage, and Blanc de Blancs. The dinner will culminate with four examples of Roederer’s crown jewel Tête de Cuvée Cristal, including the newly released 2008, a re-release of 2002, the exquisite 1996 Vinothèque, and an incredibly rare jeroboam of 2007. Join Olivier Krug, the 6th generation to lead his family’s illustrious Champagne house, for an exciting and unique event featuring Krug Champagnes paired with music. Guests will enjoy 4 selections of Krug with cool vinyl spun live by a DJ, along with small bites by Chef Arnaud Lallement of L’Assiette Champenoise in Reims and Chef Tom Colicchio of Temple Court at The Beekman. The event will also feature a special curated list of Krug Champagnes available for purchase, so guests can continue pairing great music with the myriad flavors of Krug throughout the evening. Chardonnay is one of the most transparently terroir-expressive grapes in the world, and in Champagne it creates a widely diverse array of wine styles, some familiar and others unexpected. Join La Fête co-founder Peter Liem, importer and grower-Champagne evangelist Terry Theise, and wine writer Jon Bonné for an in-depth discussion of Blanc de Blancs Champagnes, examining issues of terroir and exploring how it influences the character of Champagne. Guests will taste six Champagne selections inspired by the themes of the panelists’ recently published books and which demonstrate the breadth of the Blanc de Blancs spectrum. 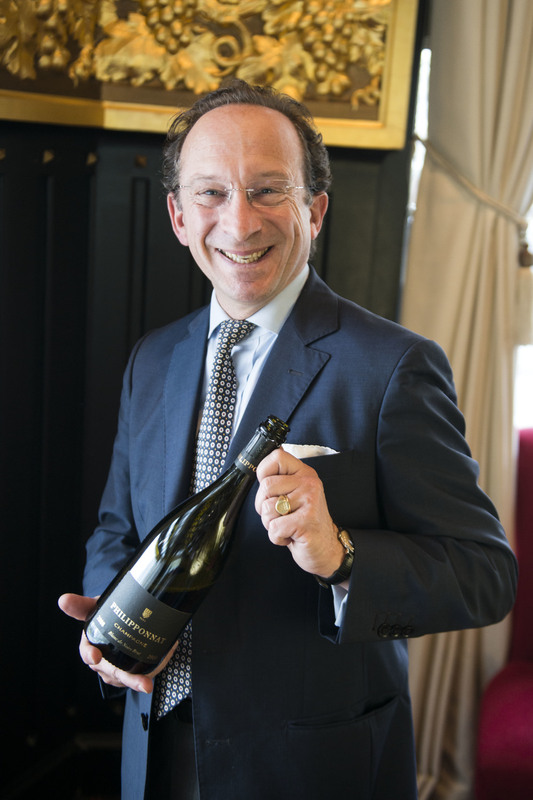 Daniel Johnnes, La Fête du Champagne co-founder, will lead a panel of passionate sommeliers to discuss the role of Champagne in their respective wine programs and offer insights into pairings and service. Michael Engelmann of The Modern, Sabra Lewis, John Burns Paterson of Frankie Spuntino Restaurant Group, and Hristo Zisovski of Altamarea Group will each choose one Champagne to pair with a tasting portion of a dish prepared by Chef Abram Bissell of The Modern. The intricacies of each pairing will be highlighted and accentuated by tasting the Champagnes alone and then again with the selected dish. One of the weekend’s must-attend events, the Grand Tasting will offer guests a selection of wines from each participating producer, totaling over 100 different Champagnes accompanied by a selection of small plates from some of New York’s most acclaimed restaurants. All American Express Card Members will enjoy exclusive access to the Magnum Lounge presented by American Express at the Grand Tasting, where guests can sample special cuvées - all poured from magnum - and talk terroir with star sommeliers. The culmination of La Fête du Champagne, the Gala Dinner will be at Pier 60 on the waterfront of Manhattan’s West Side. Chef d’Honneur Daniel Boulud will collaborate with Chefs Arnaud Lallement of l'Assiette Champenoise in Reims, James Knappett & Sandia Chang of Kitchen Table at Bubbledogs in London, Michael White of Altamarea Group, and Philip DeMaiolo of Pier Sixty and the Lighthouse in preparing a luxurious, Champagne-friendly, multi-course menu. In addition to enjoying the special bottles provided by all attending producers, guests are invited to bring bottles of Champagne from their own cellars to share throughout the room. This is sure to be a Champagne-soaked celebration with some of the region’s finest winemakers. Enjoy entry to La Fête du Champagne's Grand Tasting and Gala Dinner at a special price. We welcome newcomers to La Fête aged 40 and younger to the Grand Tasting and Gala Dinner for a special price. Simply purchase a Gala Dinner ticket for the usual price of $995 and email justine@lafetenyc.com to confirm your First Press Package. **American Express Membership Experiences® (For non-BIO packages): Offer valid in select cities. During the specified sales period, tickets are available exclusively to all American Express® Card Members. Tickets must be purchased with an American Express Card. Standard service charges apply. Offer is subject to availability. Not all seats are available and blackout dates apply. All sales final. No refunds. No exchanges. Offer may be changed or revoked at any time at the sole discretion of American Express. Some events may not be accessible to Card Members with disabilities. Must be 21 years of age or older to consume alcoholic beverages. Please drink responsibly.